Happy Thursday Evening and The LAST NIGHT of winter! Spring arrives tomorrow! That, in itself, is cause for celebration! But, we want to celebrate even more, by welcoming you back to What to do Weekends! Thank you all so much for your Participation! We love seeing what you are all up to and How creative you all are. There is simply nothing more Inspiring! Thank you. 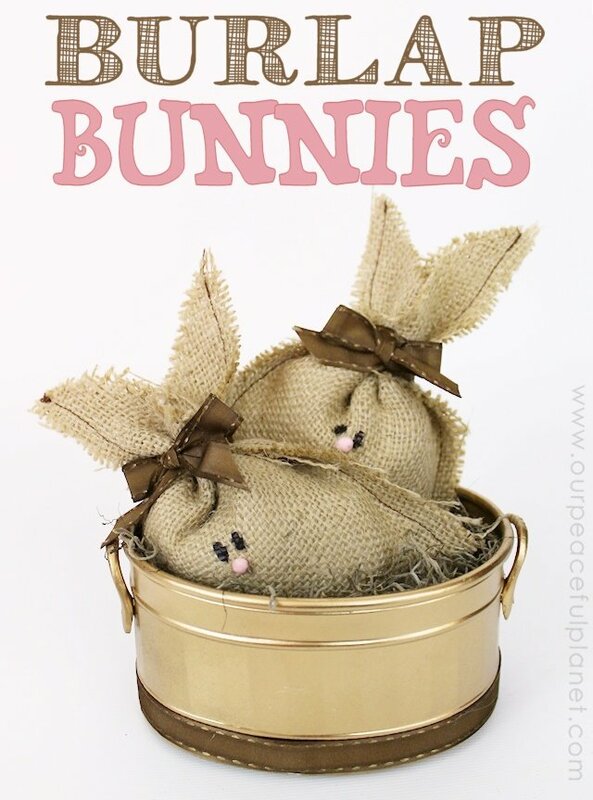 Like this one about Fun Things to do With Peeps! She also shared 15 Easy and Fun DIY Bracelets to Make in an Evening! Again, so stinking cute!! that we'd appreciate you taking into consideration. This week was a really tough one for us, so much talent and inspiration, we almost increased how many Features we would do! Thank you for your continued participation! If you are new to us, Welcome! Purple Hues and Me's Adorable Decoupage Bread Basket that she made with supplies from the Dollar store! I'm going to definitely be doing this one! 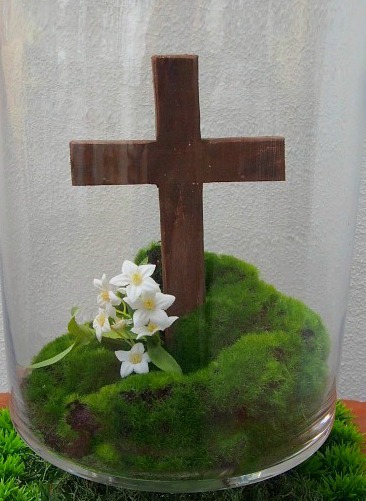 And, I absolutely LOVED Grandparent's Plus' Easter Cross Centerpiece. What a wonderful way to remember why we celebrate. And, now onto Linda's picks! Polka Dots in the Country's stunning little DIY Egg Crates were a big hit, too! And last, but certainly not least, for Linda's picks, was Little Miss Celebration's Pom Pom Eggs! Super creative! Usually, that's where we turn it over to you. But there was one yummy recipe, we just couldn't leave out! So we call it our Bonus Feature! 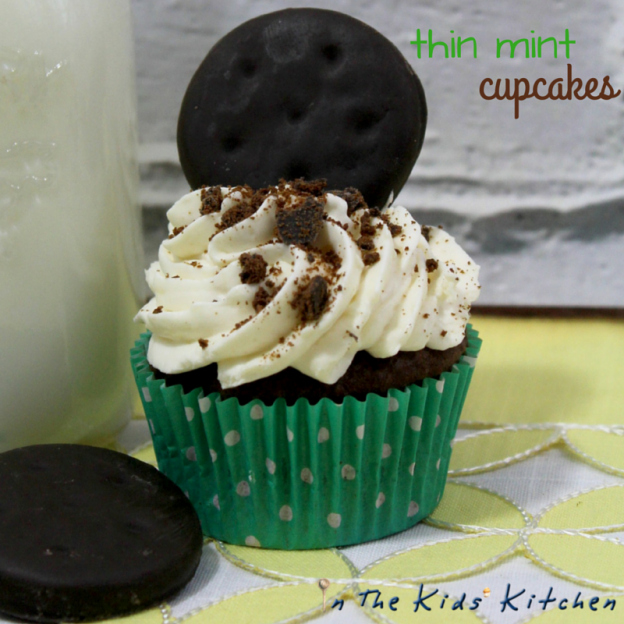 That belongs to In the Kid's Kitchen's yummy recipe for Thin Mint Cupcakes!! Now, I ask you, who doesn't want to try this recipe?! Looks like lots of wonderful crafts! Thanks for hosting! 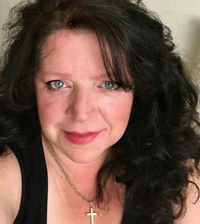 Thanks for including me -So sweet of you Theresa! Looks like lots of fun things to try out- Good Job! Oh Jonell, you totally deserved it! I'm so glad you are joining is at the party!! Hi Theresa - thanks to you and Linda for hosting, and for featuring my pompom eggs! Happy Friday and have a wonderful weekend! Cindy, thank you so much for coming & sharing your wonderful projects & inspiration with us! Great features! Thanks so much for hosting. Hope you're having a wonderful weekend! Thank you so much Beverly. You, too!! Thanks so much for featuring my decoupage basket and your sweet comments, Theresa! What a great party! Oh Gail, definitely my pleasure!! Thank you so much for sharing with us! Great party. Thanks for hosting. I shared my recipe for Pizza Rustica, an Italian Easter dish. Hope you can join us this week for Funtastic Friday. It's lots of fun.